A review of Invercargill school zones is under way but some principals in the region think they should be discarded. Ministry of Education deputy secretary of sector enablement and support Katrina Casey said a review of Invercargill Schools with enrolment schemes, which were school zones, was under way. But principals at schools in the region disagree with the concept entirely. Waverley Park School principal Kerry Hawkins said any changes to zoning would affect all schools, but he could not see a solution to anything with the review. He believed in parental choice as to where their child attended school and believed the system of zones did not work at all, he said. Making zones smaller would be like selling off a farm paddock by paddock until it was gone, but making it bigger would not help when the school was already overcrowded, he said. 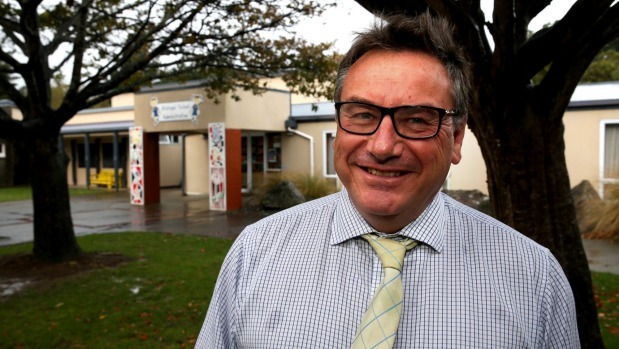 Waihopai School principal Allan Mitchell said the system did not work for his school. School zones were “a ridiculous map drawn up in Wellington”, he said. He was opposed to zoning as it did not work for the school. Making the zone larger would come at the expense of neighbouring schools as it would dig into their area, but making a zone smaller would mean in order to keep their roll up they would need to draw from other schools’ zones, he said. Waihopai School’s Board of Trustees would have a meeting on the issue next week, he said. The review process aims to give schools the opportunity to consider whether their scheme needs to continue to prevent overcrowding, whether it’s fair and transparent, whether it promotes the best use of the state school network in the area, whether it excludes local students and whether any changes to the zone were needed, Casey said. The Ministry of Education contacted Boards of Trustees and principals in March, as they did around the same time every year, to remind them to review their schemes and make sure they were working well, she said. “We will work with each school individually based on their response,” she said. There is no deadline around this work and the length of time it takes varies based on individual schools. School boards are required to consult with their school communities and neighbouring schools about zone proposals, Casey said. The information on school rolls, projected rolls and impact of zones would be shared with all schools in the area to support “a transparent decision-making process and to ensure the scheme does not disadvantage any part of the community or other schools”, she said. Four Invercargill schools have responded and the boards of all said their present schemes should be retained without amendment, she said.